Whitby Town wrestled back a point, late on, through a second Dale Hopson penalty, when Stafford Rangers visited the Turnbull Ground. Paul Connolly takes us through five things we learned from the 2-2 draw. Three games in six days had to take a toll at some point, and it seemed to as the Stafford game dragged on into the latter stages. Passes looked lazy at times and went astray, and Whitby’s usual energy levels dropped, until they were pushed to look for an equaliser. With no game until Saturday, Whitby now have a slight break, before having a full week’s recovery in between the Coalville Town and Corby Town fixtures, to rest fatigued players. Once again, the Shed cranked up the noise levels to create an electric atmosphere inside the Turnbull Ground. Those in the corner ran through an impressive repertoire of chants, aimed at the team, manager Chris Hardy and many more. With a big run-in, this could prove to be a vital 12th man for the Seasiders, with the noise encouraging Whitby to keep battling on against Stafford, despite going a goal behind. The most positive aspect is that the noise is continuous from start to finish, regardless of what is happening on the field, driving Whitby on no matter what is happening. Having to settle for a point, in a lot of people’s eyes, wasn’t ideal. Whitby needed to capitalise on their game in hand on Stourbridge and get as close to their West Midlands rivals as possible. As well as that, wins for Spennymoor Town and Buxton ensured it wasn’t a great night for Chris Hardy’s men. However, a point may not be the worst result for the Seasiders, having already gained ground on rivals Nantwich, at the weekend. Teams are still due to drop points around the Blues, and taking a seven-game unbeaten run into April could be vital for confidence within Hardy’s side, as the play-off run-in continues to tighten. Had it not been for the two players mentioned, and Nantwich Town’s Ian Garnett and Carl Thorpe, Whitby Town’s online radio commentary would not have been able to go ahead. The Blues’ commentators left the equipment in Chesire following Town’s away win at Nantwich, and feared that they’d miss their first live league broadcast for three years. That wasn’t to be the case though. 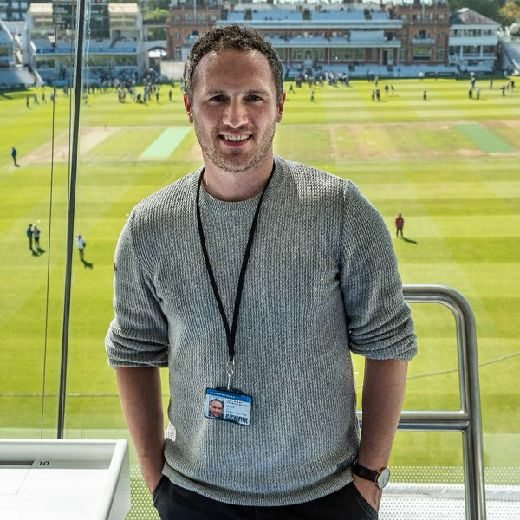 Thorpe, the Nantwich Town secretary, passed the club’s radio equipment, after arranging it with his opposite number Robbie Mullins, to Bailey and Sherratt. They then delivered it, with the team, safely to the Turnbull Ground. The simple fact is, Whitby can’t afford to drop too many points from this point forward. With just six games remaining, Whitby need to be looking at around 14 points, to ensure a play-off place, thanks to the tight nature of the division this season. Having not beaten Stafford, Whitby’s task looks slightly more difficult, with teams around them again picking points up. 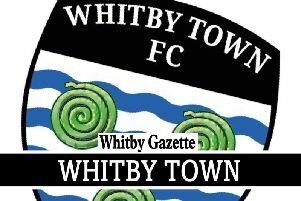 A win against Coalville, however, will keep Whitby in the top five regardless of what happens. Buxton having a game in hand on the Blues, sitting just a point behind, adds another incentive for Hardy’s side to pick up maximum points, on the chance that the Bucks slip up against Stourbridge, at Silverlands.